For any company, B2B or B2C, tapping into a holiday is all about relevance. Is there a meaningful reason for your brand to enter the conversation? Your brand has a direct connection to the holiday – this is like BC Hydro marketing around Earth Day. It’s a natural link to think about how we use energy to how we take care of the environment. Your brand has an indirect connection to the holiday – this is a way for brands to connect with ideas and aspects of their brand personality they want to showcase. An example would be a tech company getting involved in take your dog to work day. Your audience has a connection to the holiday – this is where knowing your audience comes in handy. Any holiday that your audience can relate to will resonate with them. If you don’t meet any of those three criteria, plan for a more relevant holiday. Marketing campaigns take time to organize and prepare. It is vital to give yourself enough time to find the right holiday and plan for promotion before, during, and after the date. Plan ahead but don’t get too ambitious. In a recent study of B2C holiday email campaigns, YesMail found that marketers that sent back-to-school emails in the month of July saw less engagement than average; but marketers that sent those emails in the month of August and into the first week of September saw a significant increase in engagement. Marketing around a holiday or season is a great opportunity to try out some new, different and a little bit unique. It might not be worth the time investment to write a Valentine-themed blog post, and maybe a relationship-themed quiz would be better fit for your audience. Part of why this content works is that it’s bite-sized. Sometimes your audience isn’t looking for a full content meal: they just want a snack. To decide what type of content to create, ask yourself what information you want to gather or share. Are you offering industry best-practices or assessing a user’s knowledge? You don’t need to create a pile of new content to run a holiday campaign. Small touches with a little bit of fun holiday flair go a long way, and can be quick to create. 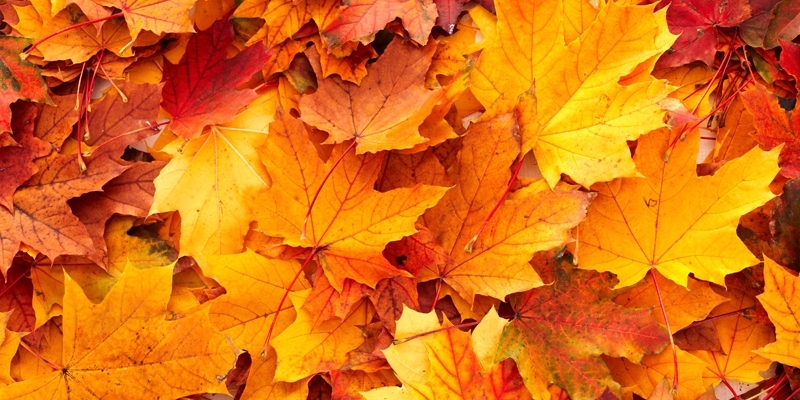 Fall is coming up quick, and your marketing campaigns need to keep up! Use seasonal themes to build a stronger relationship with your audience, tying in your longer form assets and having a little bit of fun.